Forbidden Territory by Addison Carmicheal! Hey guys! Here with a book review! Synopsis: Knocked unconscious in a storm along the Rio Grande River, werewolf Sophie Gabrielle wakes up to find that she had crossed over from neutral Colorado into New Mexico, were-Coyote territory. Worse, she was rescued by Tomas Duarte from the notorious Juarez Coyote Pack itself. And in spite of his dangerously charming Latin façade, Sophie has no idea what he plans to do with her. Or if he knows why she’s really there in forbidden territory in the first place. I liked this novella more than the first and I thought it was a great way to get us ready to keep on reading the series! I love how there is one before every book! The relationship between the two characters is awesome and I am definitely pumped for HEIR! The world was also awesome to read about and I loved the characters! #WordForWord Readathon 2019 TBR and Challenge! Here is what I am going to read for #WordForWord! Five Feet Apart by Rachael Lippincott, Mikki Daughtry, and Tobias IaconisThe School for Good and Evil - A Crystal in Time by Soman ChainaniArchenemies by Marissa Meyer And here is the blog challenge I chose to do! I am going to do my Top 10 random series that come to mind! Harry Potter by J.K. RowlingThe School for Good and Evil by Soman ChainaniPercy Jackson by Rick RiordanThe Last Magician by Lisa MaxwellThe Lunar Chronicles by Marissa MeyerWaterfire Saga by Jennifer DonellyThe Hunger Games by Susan CollinsDivergent by Veronica RothThe Remnant Chronicles by Mary E. PearsonCaraval by Stephenie Garber I hope you enjoyed! Are you participating? So long! ~D. March Wrap-Up and April TBR! The Secrets of the Immortal Nicholas Flamel - The Alchemyst by Michael ScottFour by Veronica RothThe Lightning Thief by Rick RiordanThe Last Magician by Lisa Maxwell50% of Legendary by Stephanie Garber Here is what I plan to read in April! City of Ashes by Cassandra ClareThe Son of Neptune by Rick RiordanFive Feet Apart by Rachael Lippincott, Mikki Daughtry, and Tobias IaconisThe School for Good and Evil - A Crystal in Time by Soman ChainaniArchenemies by Marissa MeyerForbidden Territory by Addison CarmichealHEIR - Sons of the Alpha by Addison Carmichea1 Wow! This was bland, but I have a bunch of fun things planned for April! So long, ~D. The Shadow Watch Series - Blog Tour! Yes, indeed, another blog tour from Rockstar Book Tours! Here it is even if it is a bit late, hehe. My life has been hectic and the internet at my house hasn't been working well, so ya here it is! Hey! 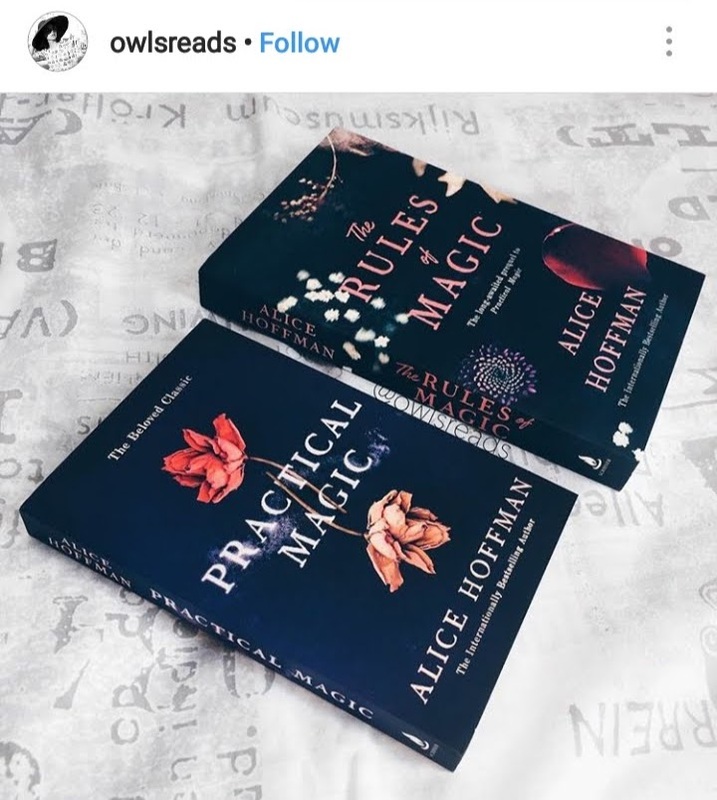 Today, I am doing a post based off of a video I saw done by Caleb from InsaneReader which is recreating bookstagram photos! I have chosen 5 randomly off of Instagram and here is me trying to recreate them! Here is the first picture I attempted and this one is by @annreads! This one was simple enough, except I didn't have those books so I went with some other fantasies! I also didn't edit ANY of these so let's see what happens! Well, it is ok but I think with editing it will look better. Here is the original! I found it actually quite simple to recreate! This one is from @thriftybibliophile! I did not have a plant so I used a bowl with shells! I think this one was one of my favorites that I did! This one was also really simple! This one was also by @thriftybibliophile! Here is mine: This was definitely my favorite!